This is the sixth blog in a series about the current state of play in our major property markets based on Australian Property Monitors January Housing Market Report. 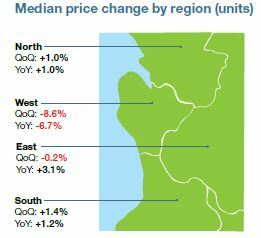 I’ve already given a national property market overview, as well as an update on the Sydney and Melbourne , Brisbane and Perth real estate markets. Today I feature what’s happening in Adelaide and will cover other major states over the next few days. 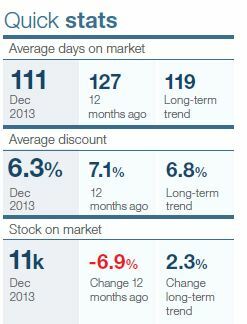 The Adelaide housing market has remained relatively subdued over 2013 despite the stimulus of low interest rates. 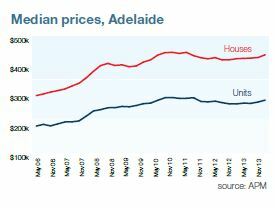 Adelaide’s median house price increased by up to 3 percent in 2013, which was the first annual increase since 2010. 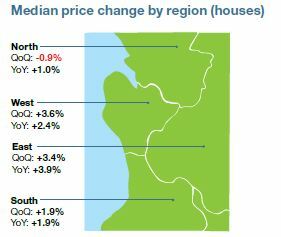 Adelaide has the lowest median house price of all the mainland capitals and despite the lack of growth over the past two years the median price is just 3.4 percent below its previous peak, reflecting the relative stability of its price cycle. 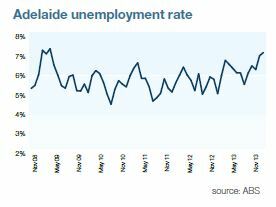 Australia’s highest capital city unemployment rate and a weakening economy will continue to subdue buyer activity in Adelaide during 2014, although annual prices should still increase by between 2 and 3 percent.